At first glance you might think this pooch is all about his dance moves. But another look reveals that he’s actually just trying to scratch his back! 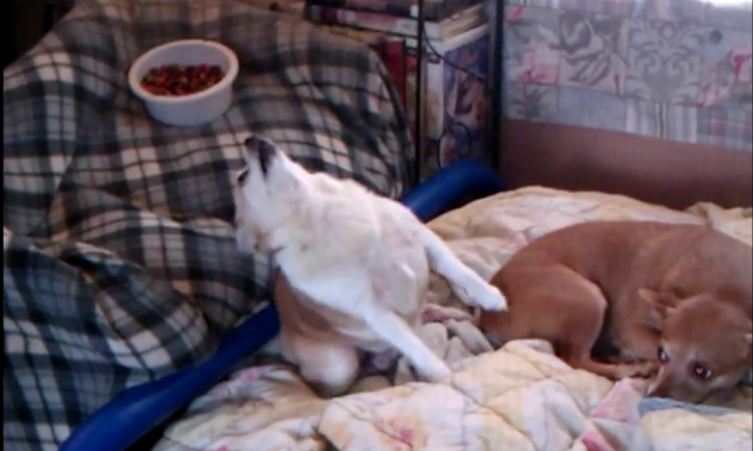 The itchy dog keeps reaching and reaching, but just keeps coming up short. Maybe he should try to get a human friend to help him out.